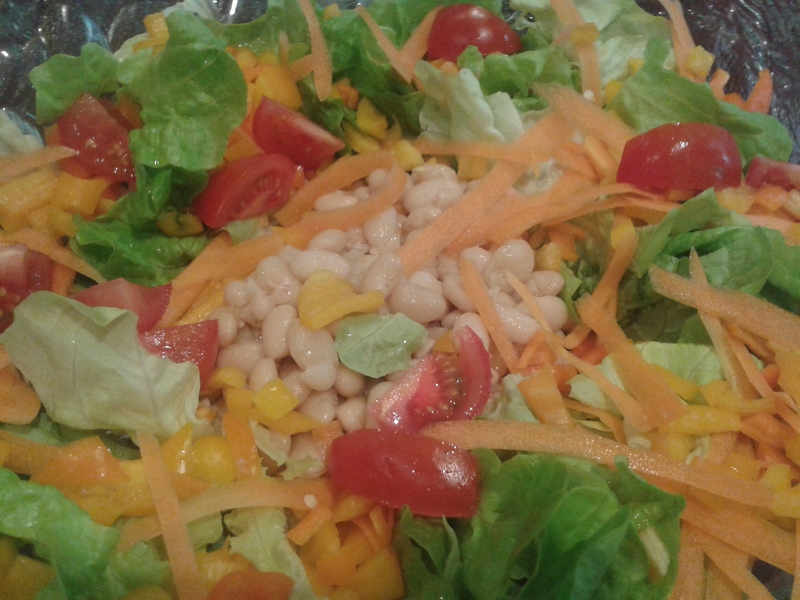 This salad was arranged by putting a bed of green salad leaves on a wide glass bowl. In the middle a disk of small white beans was created. The edge of the salad bed was covered with small cut yellow and orange bell pepper. Cherry tomatoes cut in half were decorated on top of it. And, everything was covered by stripes of carrots. As dressing served a mixture of lemon, olive oil, garlic, salt, pepper, and sweet mustard.